ENGLAND TEST TRACKER: Who is on course for the Ashes and which players need work? The start of the County Championship season has already got tounges wagging regarding the make-up of the England team for the all-important Ashes starting in Australia. It promises to be a fascinating few months as uncapped youngsters try to make a claim while former players attempt to force their way back in. The Indian Premier League is also keeping some England stars ticking over, giving us a good idea of the form of many of those expected to face Australia later in the year. The Cricketer’s England Test Tracker will keep abreast of the race to be involved when the series takes place in August and September, assessing those struggling for form and the individuals making a charge. Basically, this is Ed Smith's crib sheet for the next few months. 1 - Joe Root: The England captain remains the first man on the team sheet, even if he would prefer to be left as the fourth man on the team sheet. 2 - Jos Buttler: Spellbinding in the IPL thus far, it is ridiculous to think this time last year he was not part of the England Test set-up. 3 - James Anderson: Back in County Championship action for Lancashire this week to ensure he is ticking over ahead of the Ashes. Brexit will happen before England find a better seamer. 4 - Jonny Bairstow: Another whose place in this England team has not always been rock solid, having been dropped in Sri Lanka. At the IPL however, the Yorkshireman has been sublime, scoring his first century and then hugging David Warner for good measure. No doubt the pair won't be quite as closely knit later this summer. 5 - Ben Stokes: Not at his absolute best at the IPL it must be said but he remains the fulcrum of Trevor Bayliss' team. 6 - Stuart Broad: A pretty unspectacular return to action with Nottinghamshire, after captaining the MCC in Abu Dhabi. He has only taken nine wickets in his last four first-class outings, yet in English conditions, you wouldn't bet against him tearing through any top order in the world. 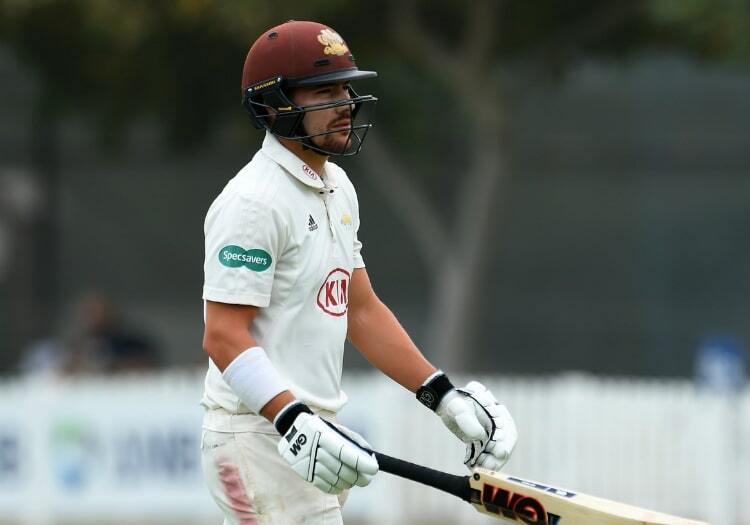 7 - Sam Curran: Sacrificed in an attempt to bring balance to the team in the West Indies but the Surrey man remains a real asset with bat and ball. Playing in the IPL will only improve him as a cricketer, but will it be enough? 8 - Moeen Ali: The third allrounder in the top 10; a reflection of the selection dilemma facing the national team. In truth, Ali's position is far more secure given he represents the premier spin option. Has flattered to deceive in the IPL thus far. 9 - Rory Burns: Starts the 2019 season as England's premier Test opener, a title which for so long belonged exclusively to Sir Alastair Cook. Will have to endure a truly shocking season to drop out of the reckoning in time for the clash with Ireland. 10 - Mark Wood: Impressive with the red and white ball upon being recalled in the West Indies. Fully fit, the 29-year-old is the speedster England are crying out for - but the reality is a decent spell is normally the precursor to a fitness setback. Stay healthy, and the Australians will be in his sights this summer. 11 - Jason Roy: Alec Stewart is the latest figure to lend his backing to Roy's claim for an England starting berth. Success for champions Surrey is a must though his attention will soon turn to the World Cup. 12 - Joe Denly: If the 33-year-old has ambitions of still being part of the England set-up by the time the Aussies come to town, being inactive in the IPL has to change. Remains high in the pecking order simply due to the lack of other options. 13 - Ben Foakes: Ready to play at three in an effort to push for a recall. 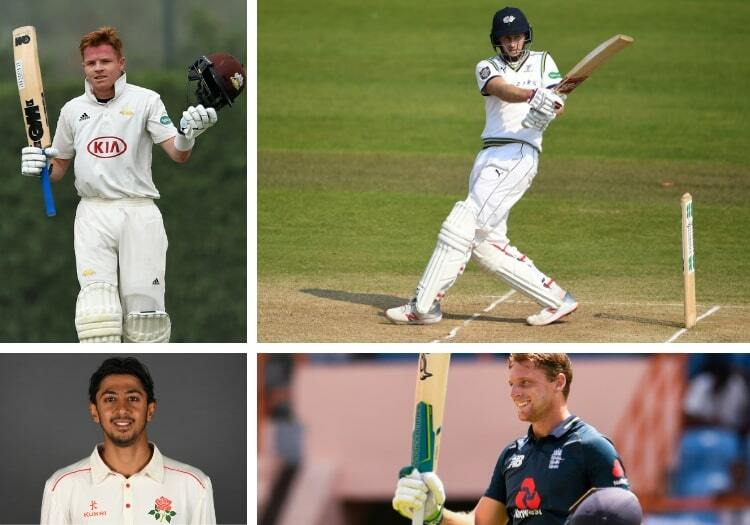 Bairstow is firmly the chosen one with the gloves but there remain places open for a genuine batsman. And with a first class average above 40 and a Test century, why not Foakes? 14 - Keaton Jennings: Surely the Lancashire batsman's international career will end this summer at the third time of asking. He may not even keep his place, which he re-claimed against the Windies, for Ireland if the domestic season starts poorly. 15 - Adil Rashid: Arguably England's key man at the World Cup, Rashid will have designs on being involved in two triumphs this summer. Having signed a new red ball contract with Yorkshire, he is at least willing but must surely dislodge Ali to be in with a chance. 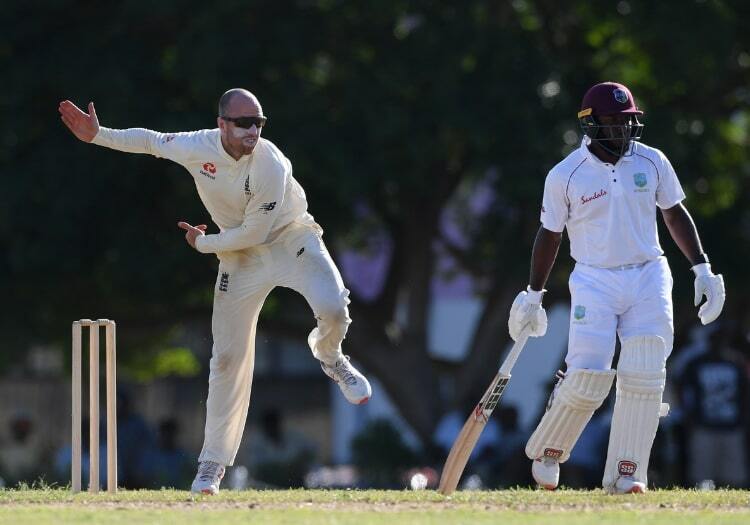 16 - Jack Leach: Having excelled in Sri Lanka, Leach's progress was checked in the Carribean. Having 'Turnton' on his doorstep is both a help and a hindrance, with those conditions seldom replicated elsewhere in the country. 17 - Ollie Pope: A stunning double century against the MCC puts him in the frame for more England recognition, however, he must surely be promoted in the order to have any success. Coming in at Root's prefered position at four is not the pathway into the side. 18 - Chris Woakes: Fit-again and ready to be a part of England's Test team, having not played since the Trent Bridge debacle against India. Knee problems have disrupted his progress and could yet deny him an Ashes run-out. 19 - Dawid Malan: Chose Ed Smith's visit to Northampton to hit a virtuoso century for Middlesex, displaying the same traits which saw him emerge from the last Ashes series with some credit. Continue that form and he could be an outsider. Can Duckett stake a claim in 2019? 20 - Dom Bess: Is not often paired with Leach for Somerset and could even be forced to seek pastures new if that continues. Certainly one for the future. 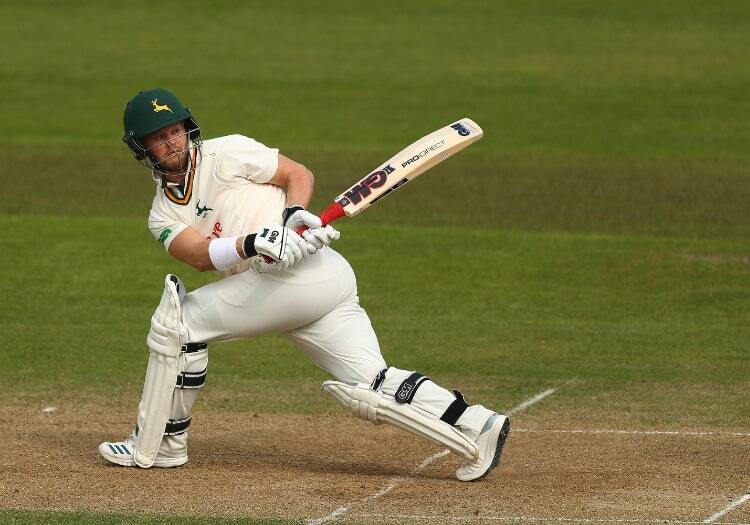 21 - Joe Clarke: Denied a place in the history books with Notts but his failure to score two centuries on his debut for the county is rather irrelevant. Behind Roy, he is the leading contender to make his Test debut in 2019. 22 - James Vince: Positioned at the top of the Hampshire order in an effort to catch the eye. But he remains dogged by concerns over his temperament. 23 - Ben Duckett: Overshadowed by Clarke at Nottinghamshire, but at the top of the order was one of the rare success stories from the opening week of the County Championship. Possesses talent in abundance and has unfinished business with England. 24 - Sam Northeast: Showed patience in recording the highest individual score of the week as county cricket returned. But finding a place in the England batting order is another task altogether. 25 - Haseeb Hameed: It was only against Loughborough Uni, but Hameed's 218 will again raise hopes he can fulfil the potential which saw him star in India. Must back-up that score for Lancashire when their campaign stars, after a torrid 2018.